Inside government, probably the best way to describe the status of agile is as a work in progress. In 2016 the U.S. Digital Service and the Office of Federal Procurement Policy published the Tech FAR, which dealt with many of the contracting issues around agile; I wrote a blog back then called Contracting for Agile about these efforts. Around the same time, USDS published a Digital Services Playbook, which was a great first pass at some of the management issues associated with doing agile. 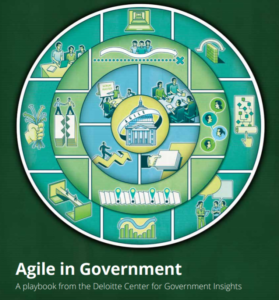 Deloitte Consulting’s Center for Government Insights, headed by Bill Eggers, has now taken the Digital Services Playbook several steps further by producing a new guide, Agile in Government, to give specific, actionable advice to government managers embarking on an agile journey.